Exclusive! 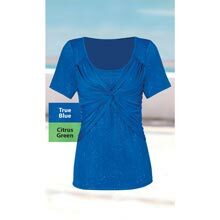 Our Enhancing Criss-Cross True Blue Sparkle Top is flattering, form-fitting polyester/spandex knit with sparkling, multi-colored foil effect. Machine wash. Imported. 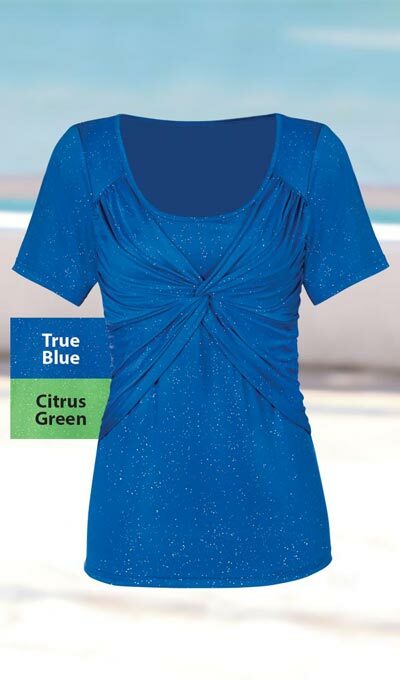 Misses, approx. 25"l. Hurry! Quantities are limited!